Ever since the blockbuster success of Terminator movies, the idea of creating a self-healing machine has been a fantasy for scientists. Many natural organisms such as some underwater creatures and even some species of gecko and rats can self-heal or regenerate parts of their body. Now, researchers at Carnegie Mellon University have created a material that can spontaneously self-heal itself under extreme mechanical damage. 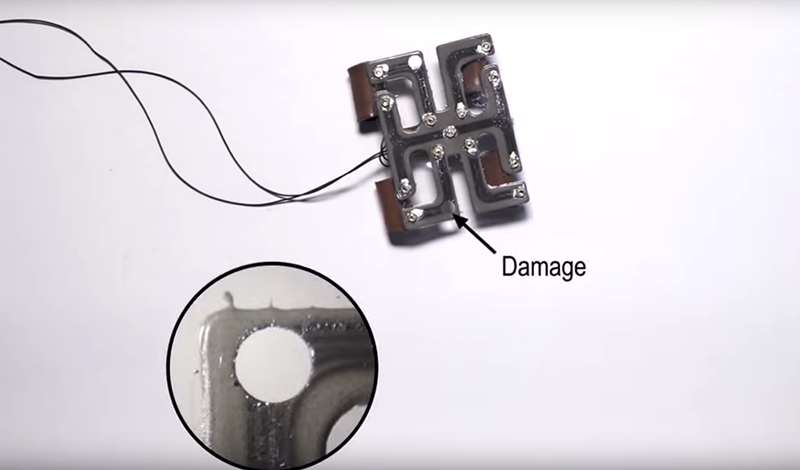 The researchers who published their findings in the journal Nature Materials, claim they have developed a self-healing material that can spontaneously repair itself after sustaining extreme mechanical damage. “If we want to build machines that are more compatible with the human body and the natural environment, we have to start with new types of materials,” said Carmel Majidi, an associate professor of mechanical engineering at Carnegie Mellon and the Director of the Integrated Soft Materials Laboratory. The soft material is composed of liquid metal droplets suspended in a soft elastomer. When the material gets damaged, the droplets rupture to make new connections with nearby droplets and reroute electrical signals without interruption. 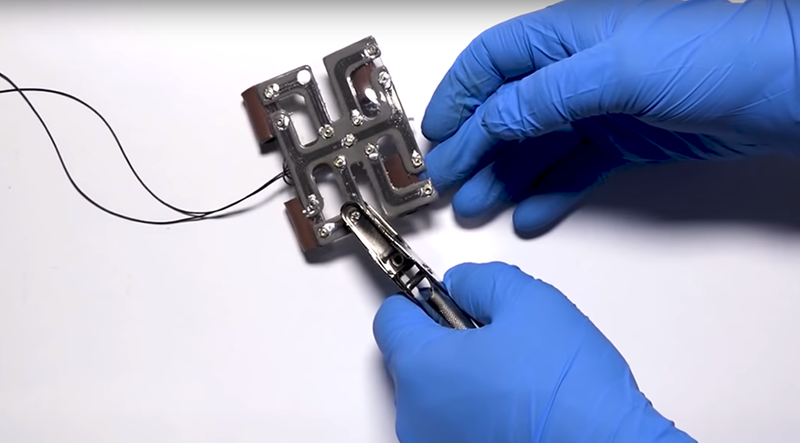 Circuits produced with conductive traces of this material remain fully and continuously operational when severed, punctured, or had material removed, reports Carnegie Mellon Engineering. The new material, known as “stretchable electronic,” is an evolving technology that’s a combination of electronic circuits, sensors and flexible elastic material, according to the researchers. The feature that makes this material even more unique is its ability to conduct electricity even when stretched, said the researchers. Researchers wish to perfect it and apply this stretchable electronic in numerous fields such as wearable computers used by athletes during rigorous training, extreme weather in Mars which put technology at risk or a robotic first responder that can rescue humans during an emergency without sustaining damage.